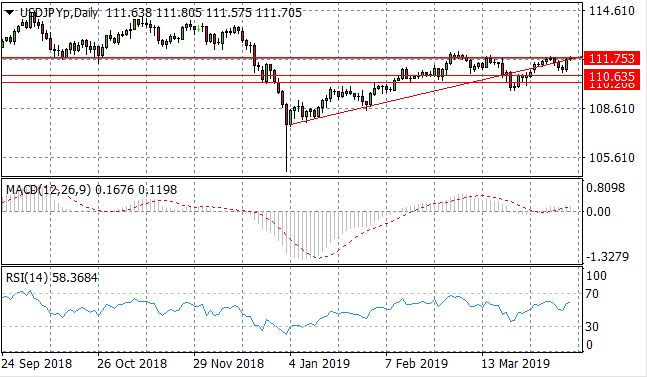 The USD/JPY pair has established a new trading range between the 110.20 and the 111.73 price levels with price action oscillating within this range since February. 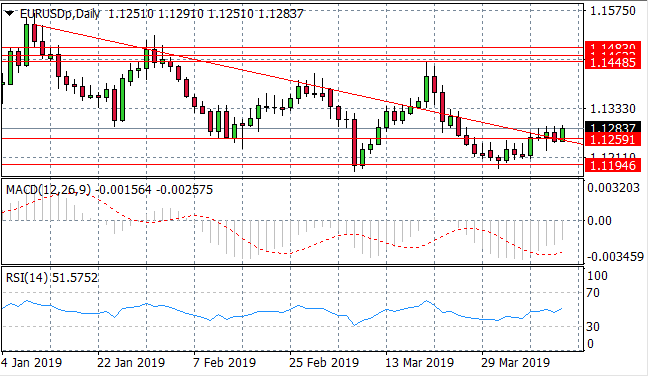 The 111.73 price level has developed as a strong resistance line from which price action has been rejected on several occasions. Momentum indicators are moderately bullish. 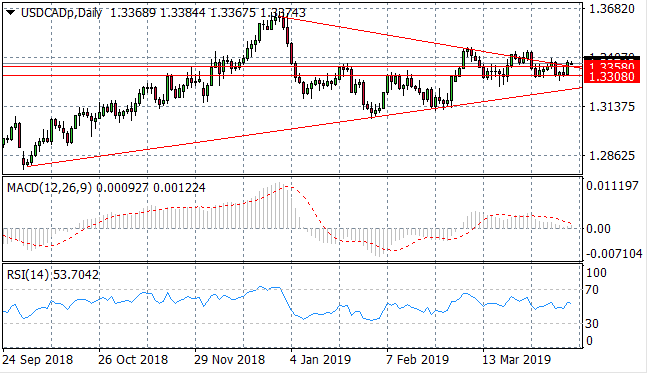 The EUR/USD pair has broken the 1.125 price level and the ascending trendline with a strong bullish candle. 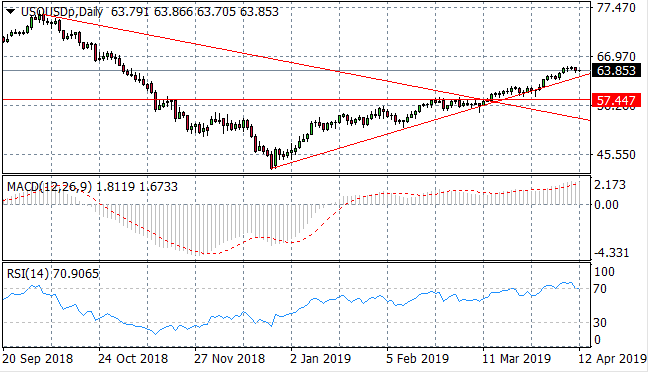 Momentum indicators support the bullish sentiment with upward trajectories. 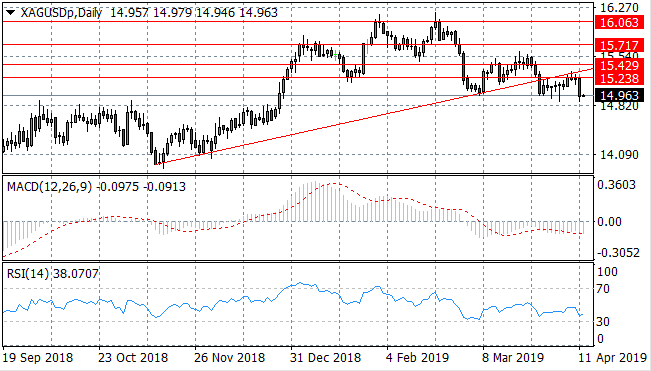 Silver has suffered from a strong sell-off after hitting the 15.23 price level which has developed as a resistance area. 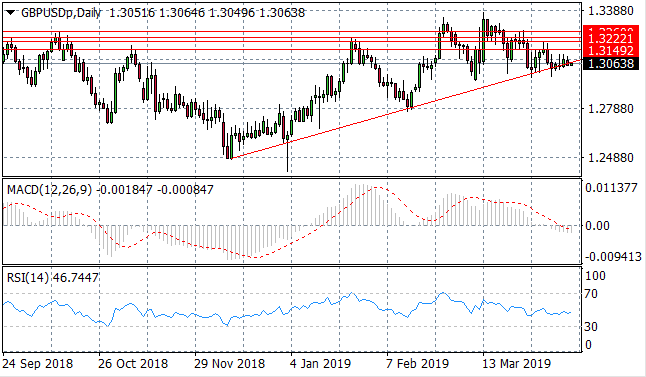 Momentum indicators are bearish with RSI approaching the 30 oversold line. 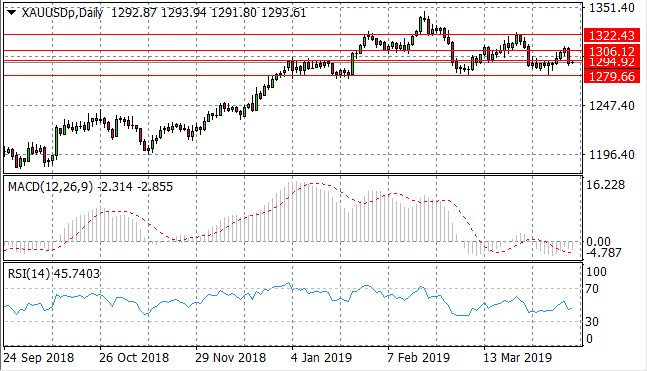 Gold buyers have returned to test the 1294.92 price level, which essentially confirms the trading range between the 1279.66- 1322.43 price levels as price action is yet to break the 1279.66 price floor. 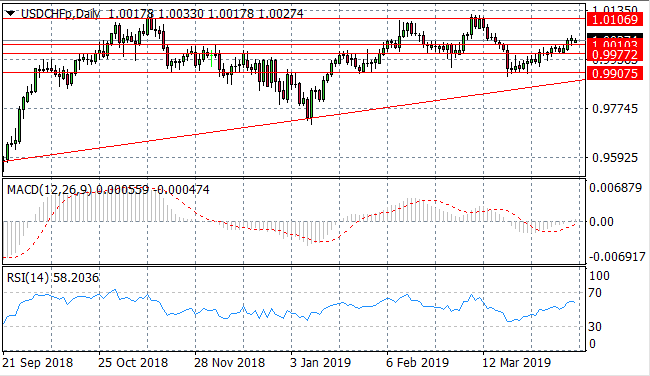 Momentum indicators appear to be undergoing moderate bullish reversals.